Oil-fueled boilers and heating systems are popular in areas where there isn't ready access to natural gas. They also allow the homeowner to use renewable fuels and some companies are even offering mixes of heating oil and biodiesel, which produces less pollution than heating oil alone. However, these systems have their share of quirks and issues. Knowing how to diagnosis some issues yourself means not always having to call in the professionals when a simple solution can get you in that hot shower faster. 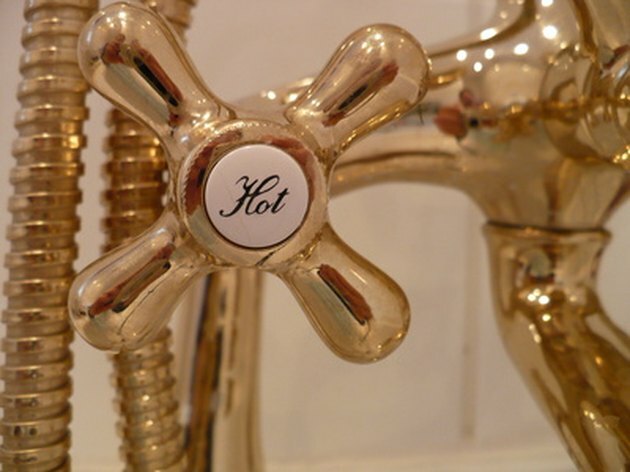 There are several quick fixes that might get your water hot again. Some thermostats control not only the heating, but the water heating and a thermostat will not turn on unless it is set above the ambient temperature of the room. Make sure your thermostat is set at least five degrees higher than the room's actual temperature. Check to be sure that your oil tank has enough fuel. If the oil tank gauge indicates less than 1/8 full or the mark is at the bottom of the gauge or not visible at all, it's likely that you've run out of fuel. For buried tanks without an indoor fuel gauge, you'll have to check the tank using a clean stick in order to measure the level of heating oil left in the tank. Check that the reset switch for the electric motor hasn't been tripped. If the motor overheats this button pops out to indicate the tripping of an internal safety device, which then shuts off the motor. It's safe to restart the motor once it's cooled and you do this by pushing the reset switch. However if it trips again, don't keep running it as that may indicate damage to your system. If you've checked all of those causes and found nothing wrong you might try to reset the entire heating system. The reset button is red and needs to be pressed and held for about a count of three and then released. If there is electricity reaching the system, it will attempt to restart. If it turns on and runs smoothly, you should still put in a service call, but you can use the heater until someone arrives to look at it. It is extremely important that you do not press the reset button more than once. Doing so could cause the combustion chamber to flood with unburned fuel, which is dangerous. Press it once, and if it doesn't reset, call a professional.